Night of the Monster Gudgeon..! I have a set of Reuben Heaton Flyweight Mk2 scales and I think they are great. I test them all the time, especially after a good fish, I'm pretty obsessed with it. 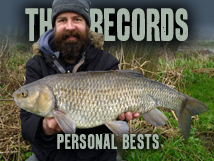 After Dan's double barbel I tested them on some known weights and they were to-the-ounce (sigh of relief from Dan). The problem is the first 8oz, it's kind of a dead zone, after 8oz they work - they stick before it - I'm not sure if it's a design flaw or if it's just mine. Another trip out after a pound-plus roach this afternoon, and this time I decided to use bread flake instead of maggots to deter the gudgeon (last time they were smashing up the maggots before the roach could get to them). 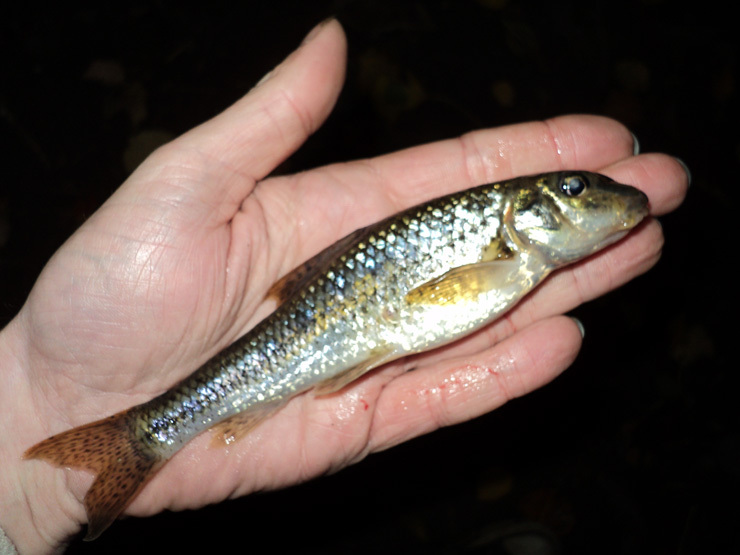 It didn't work - I just got bigger gudgeon - the first was a whopper, I tried to weigh it but it wasn't going to work. The second was bigger - Dan informed me he had a ruler - 6 1/4 inches, that's a big gudgeon! The third went 7 1/8 inches, I wish I had scales that could have weighed it! It was really wide across the back and was the biggest one I've seen... I'm going to get scales that can weigh them next time. They must be close to the record! Brian, I had the self same problem with my flyweights. I checked them out by weighing fluid ounces - kitchen measure and a plastic bag was employed - and found them useless below a few pounds but accurate enough above. It's the fact that there's a gear in the way. I got myself a Salter Brecknell Model 15 brass precision balance that weighs maximum 4lbs. these are deadly accurate at every level from an ounce upwards all the way to four pounds as there's just a spring and no gears to turn.